[S82] Gary Boyd Roberts and William Addams Reitwiesner, Princess Di, page 24. [S640] Ricahrd K. Evans, Ancestry of Diana, page 5. [S82] Gary Boyd Roberts and William Addams Reitwiesner, Princess Di, page 25. Edward John Spencer 8th Earl Spencer was born on 24 January 1924 at Sussex Square, London, England. He married Frances Ruth Burke Roche, daughter of Edmund Maurice Burke Roche 4th Baron Fermoy and Ruth Sylvia Smith-Gill, on 1 June 1954 at Westminster Abbey, London, England. Edward John Spencer 8th Earl Spencer and Frances Ruth Burke Roche were divorced in 1969. Edward John Spencer 8th Earl Spencer married Raine McCorquodale on 14 July 1976 at Claxton Hall, London, England. 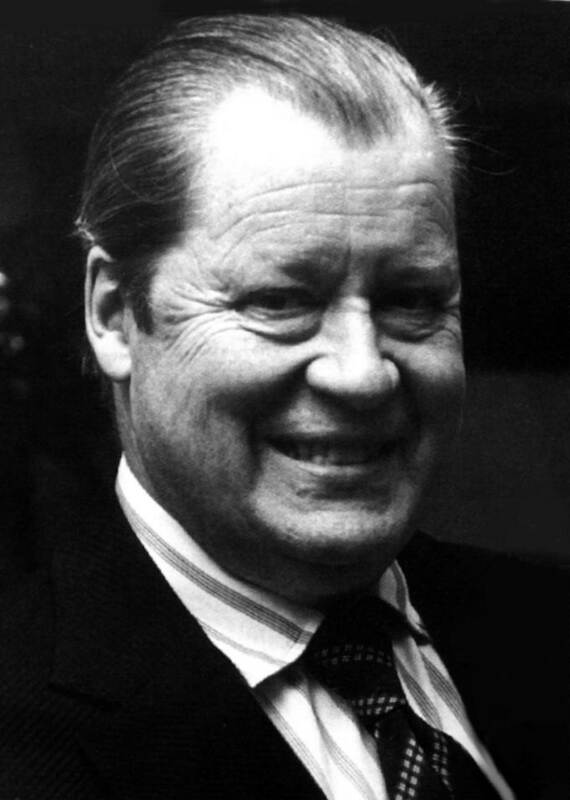 Edward John Spencer 8th Earl Spencer died on 29 March 1992 at Humana Hospital, Wellington, London, England, at age 68. 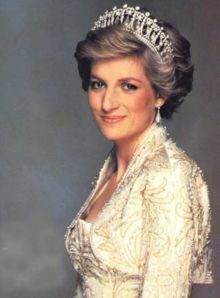 Diana Frances Spencer Princess of Wales was also known as Diana Princess of Wales. She was born on 1 July 1961 at Park House, Sandringham, Norfolk, England.2 She was the daughter of Edward John Spencer 8th Earl Spencer and Frances Ruth Burke Roche. Diana Frances Spencer Princess of Wales married HRH Prince Charles Philip Arthur George Prince of Wales, son of HRH The Prince Philip Duke of Edinburgh and HM Queen Elizabeth Alexandra Mary, on 29 July 1981 at St. Paul's Cathedral, London, England.2 Diana Frances Spencer Princess of Wales was separated in December 1992 at London, England. She and HRH Prince Charles Philip Arthur George Prince of Wales were divorced on 28 August 1996 at London, England.2 Diana Frances Spencer Princess of Wales died on 31 August 1997 at Pitie-Salpetriere Hospital, Paris, France, at age 36; Motor-vehicle accident.2 She was buried on 6 September 1997 at Oval Lake Island, Althorp, England. The tragic death of Diana, Princess of Wales occurred on Sunday, 31 August 1997 following a car accident in Paris, France. The vehicle in which the Princess was travelling was involved in a high-speed accident in the Place de l'Alma underpass in central Paris shortly before midnight on Saturday, 30 August. The Princess was taken to the La Pitie Salpetriere Hospital, where she underwent two hours of emergency surgery before being declared dead at 0300 BST. The Princess's companion, Mr. Dodi Fayed, and the driver of the vehicle died in the accident. The Princess's body was subsequently repatriated to Great Britain in the evening of Sunday, 31 August by a BAe 146 aircraft of the Royal Squadron. The Prince of Wales and the Princess's elder sisters, Lady Sarah McCorquodale and Lady Jane Fellowes, accompanied the Princess's coffin on its return journey. Upon arrival at RAF Northolt, the coffin, draped with a Royal Standard, was removed from the aircraft and transferred to a waiting hearse by a bearer party from The Queen's Colour Squadron of the RAF. The Prime Minister was among those in the reception party. From RAF Northolt the coffin was taken to a private mortuary in London. Shortly after midnight, it was moved to the Chapel Royal in St. James's Palace, where it lay privately until the funeral on Saturday, 6 September, in Westminster Abbey. The Princess's family and friends visited the Chapel to pay their respects. Following the funeral, the coffin then was taken by road to the family estate at Althorp for a private interment. Diana, Princess of Wales, formerly Lady Diana Frances Spencer, was born on 1 July 1961 at Park House near Sandringham, Norfolk. She was the youngest daughter of the then viscount and viscouintess Althorp, now the late Earl Spencer and the Hon Mrs. Shand-Kydd. The Princess of Wales had two sons. Prince William Arthur Philip Louis was born on 21 June 1982 and Prince Henry Charles Albert David on 15 September 1984, both at St Mary's Hospital, Paddington, in London. She was, however, best known for her charitable work - notably publicising work on behalf of people with HIV/Aids. In the year before her death, the Princess was an active campaigner for a ban on the manufacture and use of land mines, visiting Angola and Bosnia as part of her campaign. In June 1997, the Princess addressed the Royal Geographical Society conference on this issue. Her love of children was also readily apparent in her charitable work. In 2007 Prince William and Prince Harry organised Concert for Diana, a unique tribute to their mother held at Wembley Stadium. The concert, held on 1 July, what would have been The Princess's 46th birthday, was held in front of a 62,000 crowd in the stadium and watched on television by millions more people around the world. Although the event was first and foremost a tribute concert, both Prince William and Prince Harry were keen that any proceeds should be shared among the eight charities which they had selected to be beneficiaries of at least £150,000. The charities to benefit included Diana, Princess of Wales Memorial Fund, which was founded after The Princess’s death; Sentebale, the Lesotho children’s charity which Prince Harry founded in memory of his mother; and the six organisations of which the Princess was Patron at the time of her death: the Royal Marsden and Great Ormond Street Hospitals, Centrepoint (of which Prince William is now Patron), The Leprosy Mission, The National AIDS Trust and English National Ballet, who also performed at the concert. [S82] Gary Boyd Roberts and William Addams Reitwiesner, Princess Di. [S640] Ricahrd K. Evans, Ancestry of Diana, page 1. 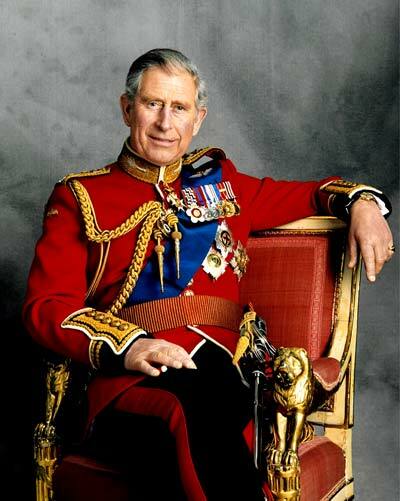 HRH Prince Charles Philip Arthur George Prince of Wales was born on 14 November 1948 at Buckingham Palace, London, England. He was the son of HRH The Prince Philip Duke of Edinburgh and HM Queen Elizabeth Alexandra Mary. HRH Prince Charles Philip Arthur George Prince of Wales married Diana Frances Spencer Princess of Wales, daughter of Edward John Spencer 8th Earl Spencer and Frances Ruth Burke Roche, on 29 July 1981 at St. Paul's Cathedral, London, England.1 HRH Prince Charles Philip Arthur George Prince of Wales and Diana Frances Spencer Princess of Wales were separated in December 1992 at London, England. HRH Prince Charles Philip Arthur George Prince of Wales and Diana Frances Spencer Princess of Wales were divorced on 28 August 1996 at London, England.1 HRH Prince Charles Philip Arthur George Prince of Wales married Camilla Rosemary Shand, daughter of Maj. Bruce Middleton Hope Shand and Hon. Rosalind Maud Cubitt, on 9 April 2005 at Guildhall, Windsor, England. When, on the accession of Queen Elizabeth in 1952, he became heir apparent, Prince Charles automatically became Duke of Cornwall under a charter of King Edward III dating back to 1337, which gave that title to the Sovereign's eldest son. He also became in the Scottish Peerage, Duke of Rothesay, Earl of Carrick and Baron Renfrew, Lord of the Isles, and Prince and Great Steward of Scotland. The Prince was created Prince of Wales and Earl of Chester on 26 July 1958, becoming the first Prince of Wales since 1936. Although investitures of Princes of Wales were traditionally held in front of Parliament, and not all Princes of Wales have been invested, the investiture of the present Prince of Wales (like that of his predecessor Prince Edward, later Edward VIII, in 1911) was a State occasion. It took place in a Welsh setting before the Welsh people, at Caernarfon Castle on 1 July 1969. The Welsh regalia (Crown Jewels associated with the Princes of Wales) used at the investitures in 1911 and 1969 are on loan to the National Museum of Wales in Cardiff. On 29 July 1981, The Prince of Wales married Lady Diana Spencer in St Paul's Cathedral who became HRH The Princess of Wales. The Princess was born on 1 July 1961, at Park House on The Queen's estate at Sandringham, Norfolk. She lived there until the death in 1975 of her grandfather, the 7th Earl, when the family moved to the Spencer family seat at Althorp House in Northamptonshire. On 9 December 1992, the Prime Minister, John Major, announced to the House of Commons that The Prince and Princess of Wales had agreed to separate. When The Princess was killed in a car crash in Paris on 31 August 1997, The Prince of Wales flew to Paris with her two sisters to bring her body back to London. The Princess lay in the Chapel Royal at St James's Palace until the night before the funeral. The Prince of Wales asked the media to respect his sons' privacy, to allow them to lead a normal school life. In the following years, Princes William and Harry, who are second and third in line to the throne, accompanied their father on a limited number of official engagements in the UK and abroad. The Prince of Wales married Mrs Camilla Parker Bowles on 9 April 2005 at a civil ceremony at the Guildhall in Windsor, followed by a service of prayer and dedication in St. George's Chapel, Windsor Castle. After the wedding, Mrs Parker Bowles became known as HRH The Duchess of Cornwall. When The Prince of Wales accedes to the throne, she will be known as HRH The Princess Consort. HRH Prince William Arthur Philip Louis Duke of Cambridge was born on 21 June 1982 at St. Mary's Hospital, Paddington, London, England. He was the son of HRH Prince Charles Philip Arthur George Prince of Wales and Diana Frances Spencer Princess of Wales. Prince William and Catherine Elizabeth Middleton were engaged on 16 November 2010. Prince William married Kate Middleton on 29 April 2011 at Westminster Abbey, London, England. 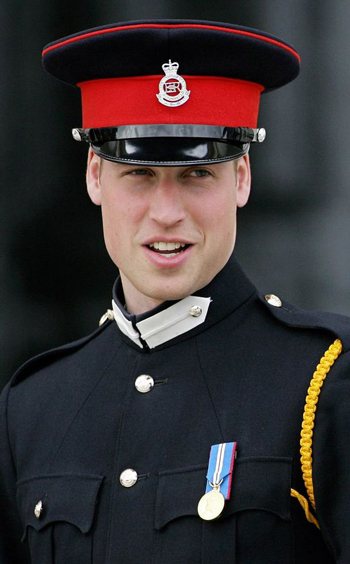 As of 29 April 2011, Prince William was bestowed the title of Duke of Cambridge. After attending Mrs Mynors School, The Duke became a pupil at Wetherby School in London, from 15 January 1987 until 5 July 1990. From September 1990, The Duke attended Ludgrove School in Berkshire, for five years until 5 July 1995. He then attended Eton College from July 1995 and studied Geography, Biology and History of Art at A Level. The Duke was 15-years-old when Diana, Princess of Wales was killed in a car crash in Paris on 31 August 1997. The Duke of Cambridge and Prince Harry walked behind their mother’s cortege at her funeral which was held at Westminster Abbey on 6 September 1997. After a gap year in which he visited Chile, Belize, worked on British dairy farms and visited countries in Africa, The Duke chose to study at St Andrews University in Fife, Scotland. He graduated with a 2:1 in Geography in 2005. After a period of work experience, The Duke of Cambridge joined the Royal Military Academy Sandhurst as an Officer Cadet. He was commissioned as an army officer in front of The Queen at Sandhurst in December 2006 and joined the Household Cavalry (Blues and Royals) as a Second Lieutenant. He went on to train as an RAF Search and Rescue Pilot with the RAF, graduating as a fully operational pilot in September 2010. The Duke is a fully operational Search and Rescue Pilot with the Royal Air Force, based at Anglesey, Wales. At the same time, The Duke of Cambridge is President or Patron to a number of charities and organisations whose work he wishes to support. On 29th May 2012, The Duke of Cambridge said he was 'honoured' to be conferred to the Order of the Thistle in the year of The Queen's Diamond Jubilee. Elizabeth Strong was born on 2 February 1727 or 1728. She was the daughter of Capt. Joseph Strong Jr. and Elizabeth Strong. Elizabeth Strong married Deacon Richard Hale, son of Samuel Hale and Apphia Moody, on 27 May 1746. Elizabeth Strong died on 21 April 1767. Deacon Richard Hale was born on 28 February 1717 at Newburyport, MA. He was the son of Samuel Hale and Apphia Moody. Deacon Richard Hale married Elizabeth Strong, daughter of Capt. Joseph Strong Jr. and Elizabeth Strong, on 27 May 1746. Deacon Richard Hale died on 1 June 1802 at age 85. Capt. Nathan Hale was born on 6 June 1755. He was the son of Deacon Richard Hale and Elizabeth Strong. Capt. Nathan Hale was graduated in 1773 at Yale, New Haven, CT. He died on 22 September 1776 at New York, NY, at age 21. Martyr spy of the American Revolution, who said "I regret that I have but one live to lose for my country." [S82] Gary Boyd Roberts and William Addams Reitwiesner, Princess Di, Page 44. [S84] Benjamin Woodbridge Dwight Elder John Strong, Vol. I:Pg. 350. Enoch Hale was the son of Deacon Richard Hale and Elizabeth Strong. Nathan Hale was the son of Enoch Hale and Octavia Throop. Unitarian clergyman, author of The Man Without a Country. Edward Everett Hale was born in 1822. He was the son of Nathan Hale and Sarah Preston Everett. Edward Everett Hale died in 1909. Prince Henry Charles Albert David was born on 15 September 1984 at St. Mary's Hospital, Paddington, London, England. He was the son of HRH Prince Charles Philip Arthur George Prince of Wales and Diana Frances Spencer Princess of Wales. Prince Henry Charles Albert David and Rachel Meghan Markle were engaged on 27 November 2017. Prince Henry Charles Albert David married Rachel Meghan Markle, daughter of Thomas W. Markle and Doria Ragland, on 19 May 2018 at St. George's Chapel, Windsor Castle, London, England. Prince Henry Charles Albert David was also known as Duke of Sussex. After attending Mrs Mynors School, Prince Harry became a pupil at Wetherby School in London from September 1987. In September 1992, Harry joined his older brother William at Ludgrove School in Berkshire. He then attended Eton College from September 1998 where he took his GCSEs and A Levels. After completing his A Levels, Prince Harry took a gap year during which he visited Australia, Argentina and Africa, where he made a documentary about the plight of orphans in Lesotho. Prince Harry entered the Royal Military Academy Sandhurst in May 2005. He successfully completed a 44-week training course as an Officer Cadet, before being commissioned in April 2006 as a Second Lieutenant in the Household Cavalry (Blues and Royals). During this period, Prince Harry co-founded the charity Sentebale with Prince Seeiso of Lesotho in memory of their mothers to support orphans and vulnerable children in Lesotho. 'Sentebale' is the Sotho word for ‘Forget me not’. In February 2008 Prince Harry completed more than two months service with the British Army in Helmand province, Afghanistan, as a Forward Air Controller for NATO forces. 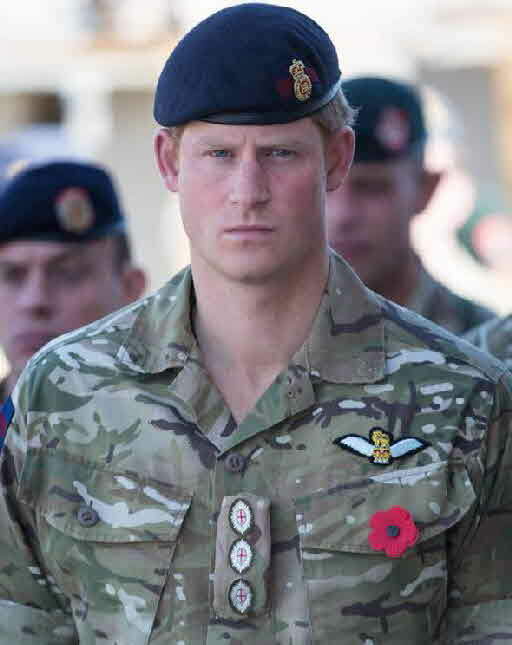 Prince Harry was promoted from Second Lieutenant to Lieutenant in April 2008. In January 2009 he began a two-and-a-half year training course to become a fully operational, full-time Army Air Corps helicopter pilot. He remains an officer in the Household Cavalry during the training period. Prince Harry’s principal residences are at Clarence House in London and Highgrove in Gloucestershire. A Household Office was set up at St James’s Palace, London, for Prince Harry and for his brother, Prince William, in January 2009 to reflect their growing public lives. Prince Harry is currently Patron of a number of charities and organisations (including Sentebale) and he holds two honorary military appointments (in the Royal Navy and the Royal Air Force). His Royal Highness focuses much of his charitable activity around the Princes’ Charities Forum, a grouping of organisations with which he and his brother have close links and which assists in promoting ideas and joint initiatives to the benefit of all the members. Caleb Bishop was born on 16 March 1715 or 1716 at Norwich, CT. He was the son of Samuel Bishop Jr. and Sarah Fobes. Caleb Bishop married Keziah Hebert, daughter of Ebenezer Hibbard and Margaret Morgan, on 19 April 1739 at Norwich, CT.1 Caleb Bishop died on 16 February 1785 at Guilford, New Haven Co., CT.
[S798] Jr. Ronald E. Benson, "Ann/Anne/Anna Morgan." Samuel Bishop Jr. was born in February 1678 at Ipswich, MA. He was the son of Samuel Bishop and Hester Cogswell. Samuel Bishop Jr. married Sarah Fobes, daughter of Caleb Fobes and Sarah Gager, on 2 January 1705 or 1706 at Norwich, CT. Samuel Bishop Jr. died on 18 November 1760 at Norwich, CT, at age 82. Sarah Fobes was born on 24 June 1684 at Norwich, CT. She was the daughter of Caleb Fobes and Sarah Gager. Sarah Fobes married Samuel Bishop Jr., son of Samuel Bishop and Hester Cogswell, on 2 January 1705 or 1706 at Norwich, CT. Sarah Fobes died on 11 March 1759 at Norwich, CT, at age 74. Child of Sarah Fobes and Samuel Bishop Jr.
Nehemiah Allen was born circa 1635. He was the son of Samuel Allen and Ann (?) Nehemiah Allen married Sarah Woodford, daughter of Thomas Woodford and Mary Blott, on 21 September 1664 at Northampton, MA. Nehemiah Allen died in 1684 at Northampton, MA. [S52] Henry R. Stiles History of Ancient Windsor II, Vol. II:Pg. 14/Family 1. [S155] Willard Allen, "Samuel Allen." Sarah Woodford was born before 2 September 1649 at Hartford, Hartford Co., CT. She was the daughter of Thomas Woodford and Mary Blott. Sarah Woodford married Nehemiah Allen, son of Samuel Allen and Ann (? ), on 21 September 1664 at Northampton, MA. Sarah Woodford died on 31 March 1713 at Northampton, MA. [S82] Gary Boyd Roberts and William Addams Reitwiesner, Princess Di, Page 28. John Lee was born circa 1620 at England. He immigrated in 1634 to [IT:Frances:IT], England. He married Mary Hart, daughter of Stephen Hart, in 1658 at Farmington, Hartford Co., CT. John Lee died on 8 August 1690 at Farmington, Hartford Co., CT.
[S370] The Strong Family Association of America Strong Update Vol 1, page 1. [S276] Kathleen Fenton, "Wives of Jedediah Strong." [S370] The Strong Family Association of America Strong Update Vol 1. Perhaps the Stephen bapt. Ipswich, Suffolk, England 25 Jan 1602/3 son of Setphen Hard, d. Farmington between 16 and 31 Mar 1682/3, immigrant probably in 1630/1, in Cambridge 1632, in Hartford 1636, in Farmington 1645. He is called "my cousin" in the will of Judith Morris, widow, of Dedham, Essex, England, dated 25 Jan. 1645 (see Register, 48 (1894): 118, 119). His first wife, the mother of his children, is unknown. [S82] Gary Boyd Roberts and William Addams Reitwiesner, Princess Di, Page 29/Item 46. Samuel Bishop was born circa 1645 at Ipswich, MA. He was the son of Thomas Bishop and Margaret (?) Samuel Bishop was graduated in 1665 at Harvard College, Boston, MA. He married Hester Cogswell, daughter of William Cogswell and Susanna Hawkes, on 10 August 1675 at Ipswich, MA. Samuel Bishop died before 2 March 1687 at Ipswich, MA. Hester Cogswell was born circa 1656 at Ipswich, MA. She was the daughter of William Cogswell and Susanna Hawkes. Hester Cogswell married Samuel Bishop, son of Thomas Bishop and Margaret (? ), on 10 August 1675 at Ipswich, MA. Hester Cogswell married Thomas Burnham on 16 December 1689 at Ipswich, MA. Hester Cogswell died after 17 January 1703. Caleb Fobes was born circa 1653 at Bridgewater, Plymouth Co., MA.2 He was the son of John Fobes and Constant Mitchell.3 Caleb Fobes married Sarah Gager, daughter of John Gager and Elizabeth Gore, on 30 June 1681 at Norwich, CT.2 Caleb Fobes died on 25 August 1710 at Preston, New London Co., CT.
[S640] Ricahrd K. Evans, Ancestry of Diana, page 146. [S640] Ricahrd K. Evans, Ancestry of Diana, page 216. William Cogswell was baptized in March 1618 at Westbury Leigh, Wiltshire, England. He married Susanna Hawkes circa 1649 at probably Lynn, MA. William Cogswell died on 15 December 1700 at Ipswich, MA, at age 82. Susanna Hawkes was born on 13 August 1633 at Charlestown, Middlesex Co., MA. She married William Cogswell circa 1649 at probably Lynn, MA. Susanna Hawkes died before 5 August 1696 at Ipswich, MA. Joseph Morgan was baptized on 29 November 1646 at Roxbury, MA.2 He was the son of James Morgan and Margery Hill. Joseph Morgan married Dorothy Parke, daughter of Thomas Parke and Dorothy Thompson, on 26 April 1670 at New London, CT. Joseph Morgan died on 5 April 1704 at Preston at age 57. [S82] Gary Boyd Roberts and William Addams Reitwiesner, Princess Di, Page 29. Dorothy Parke was born on 6 March 1652 at New London, CT. She was the daughter of Thomas Parke and Dorothy Thompson. Dorothy Parke married Joseph Morgan, son of James Morgan and Margery Hill, on 26 April 1670 at New London, CT.
Susanna Cogswell was the daughter of William Cogswell and Susanna Hawkes. Anne White was the daughter of Benjamin White and Susanna Cogswell. Susanna Boylston was the daughter of Peter Boylston and Anne White. 2nd US President. President John Adams Jr. was born on 30 October 1735 at Braintree (now Quincy), MA.2 He was the son of John Adams and Susanna Boylston. President John Adams Jr. married Abigail Smith on 25 October 1764 at Weymouth, Norfolk Co., MA.3 President John Adams Jr. died in 1826. [S82] Gary Boyd Roberts and William Addams Reitwiesner, Princess Di, Page 34. [S752] Burke's Peerage Limited, Presidential Families, page 71. [S752] Burke's Peerage Limited, Presidential Families, page 75. Child of Abigail Smith and President John Adams Jr.
[S752] Burke's Peerage Limited, Presidential Families, page 79. John Quincy Adams was born on 11 July 1767 at Braintree (now Quincy), MA. He was the son of President John Adams Jr. and Abigail Smith.1 John Quincy Adams died on 23 February 1848 at Washington, DC, at age 80. His original interment was temporary, in the public vault at the Congressional Cemetery in Washington, D.C.. Later, he was interred in the family burial ground in Quincy at the First Unitarian Church, called Hancock Cemetery. After his wife's death, his son, Charles Francis Adams, had him reinterred with his wife in a family crypt in the United First Parish Church across the street. His parents are also buried there, and both tombs are viewable. Adams' original tomb at Hancock Cemetery is still there, marked simply "J.Q. Adams". [S752] Burke's Peerage Limited, Presidential Families, page 169. Charles Francis Adams was an American diplomat and editor, grandson of John Adams and son of John Quincy Adams, born in Boston, and educated at Harvard University. He was admitted to the bar in 1829. Adams served for five years in the Massachusetts legislature as a member of the Whig Party. In 1858 and again in 1860, he was elected to the U.S. House of Representatives from Massachusetts as a member of the Republican Party. In 1861 he was appointed minister to Great Britain by Abraham Lincoln. His skillful handling of this position during the American Civil War (1861-65), when the British government rendered aid to the Confederacy, is an outstanding chapter in the history of American diplomacy. In the so-called Trent affair, the first major crisis in Anglo-American relations during the war, his calm and tact were instrumental in averting hostilities between the two nations. Although he failed to prevent the sailing of the Alabama, a raider built in Great Britain for the Confederacy, his efforts with the British government later resulted in the detention of other Confederate vessels. He resigned as minister to Great Britain in 1868. In 1871 he became a member of the Alabama claims tribunal. He edited the Life and Works of John Adams (10 vol., 1850-56), the Memoirs of John Quincy Adams (12 vol., 1874-77), and the Familiar Letters of John Adams and His Wife, Abigail (2 vol., 1876). "Adams, Charles Francis (1807-1886)," Microsoft(R) Encarta(R) 98 Encyclopedia. (c) 1993-1997 Microsoft Corporation. All rights reserved. Charles Francis Adams was born on 18 August 1807 at Boston, MA.2 He was the son of John Quincy Adams and Louisa Catherine Johnson.2 Charles Francis Adams died on 1 November 1886 at age 79.